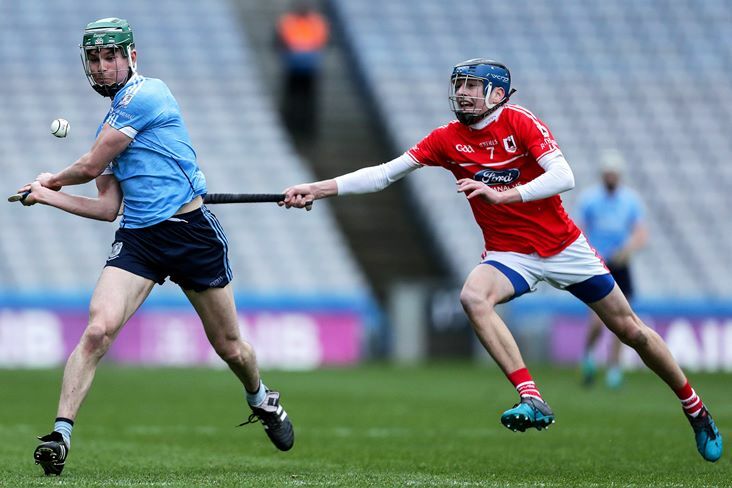 Niall Burke scored 1-11 as Oranmore-Maree turned a seven-point deficit into a six-point victory over Charleville in today's All-Ireland intermediate club hurling final at Croke Park. Burke's county team-mate Gearoid McInerney was also hugely influential as the Galway men took control in the second half after trailing by 0-7 to 1-10 at the interval. Cork star Darragh Fitzgibbon, who recovered from a knee injury sustained in the semi-final win over Graigue-Ballycallan, was the outstanding player on view in the first half when he posted 0-6, including 0-2 from play. Charleville were three points up when Andrew Cagney scored the opening goal in the 28th minute. When Conor Buckley and Kevin O'Connor followed up with points to give them a six-point half-time cushion, it looked like it was going to be their day. But Oranmore-Maree were a different team in the second half as they stormed back into contention. Charleville were already under pressure when they lost Jack Doyle to a straight red card in the 40th minute. Scores from Niall Burke and substitute Eanna Burke had the deficit down to two points, 0-13 to 1-12, at the end of the third quarter before Sean McInerney and Niall Burke (free) levelled with nine minutes to go. Ben O'Connor's charges were then reduced to 13 players when Cathal Carroll was sent off. It remained in the melting point, however, as a Niall Burke goal from a 58th minute penalty was replied to by two Fitzgibbon points. But Gerry McInerney's men could finally celebrate when Sean McInerney struck the insurance goal in stoppage-time. Oranmore-Maree - R McInerney; S Bannon, S Geoghegan, A Bannon; M Hannify, G McInerney (0-1), L Keane; N Geoghegan, R Maher; M Quinn, A Burke (0-2), N Burke (1-11, 1-0pen, 0-6f, 0-1'65); R Malone, P Keane (0-1), S McInerney (1-2). Subs: E Burke (0-1) for M Quinn, N Qualter for L Keane, S Dunne for N Geoghegan. Charleville - C Collins; D Butler, J Meade, F Cagney; A Dennehy, J Buckley, C Carroll; J O'Callaghan, K O'Connor (0-1); D Casey, D Fitzgibbon (0-10, 7f, 1'65), J Doyle (0-1); C Buckley (0-1), D O'Flynn (0-1), A Cagney (1-1). Sub: T Hawe for K O'Connor.